Maybe you’ve been told you’re greatly lacking in singing ability. The inability to replicate the pitch of a sound is often called being tone deaf. How can you tell if this is you? Well, a tone-deaf test is a good way to start. If you’re worried that you’ll never sing because you might have trouble with intonation, then perhaps taking an impartial test can reassure you. How Did We Learn About Tone Deafness? Before you race to figure out if you are only slightly off-key or truly unable to distinguish between different sounds, let’s learn a little bit more about the phenomenon of not being able to hear distinct notes. As early as 1825, scientists conjectured that a specific part of the human brain was responsible for a person’s musical ability. By the mid-1800s, the French physician Jean-Baptiste Bouillaud wrote up a series of medical cases where individuals lost their musical ability due to a brain injury. Little by little, researchers discovered how humans understood music. Between 1888 and 1890, the renowned German neurologist August Knoblauch created a cognition-based model of how the brain processed music. He termed the inability to cognitively understand music amusia, which is a fancy term for tone deafness. Don’t worry. Some individuals with amusia can still learn how to sing. Many times, what might be called tone deafness is really a lack of musical training that can be overcome through practice and lessons. Amusia, AKA tone-deafness, is an inability to distinguish music sounds. This covers two forms: congenital and acquired. Congenital amusia refers to people whose tone deafness cannot be attributed to hearing loss, lack of musical training, brain lesions or cognitive defects. Acquired amusia is tone deafness caused by brain damage. It is more likely to have acquired than congenital amusia. Intonation is how accurate the pitch or tone someone makes while singing or playing an instrument. Many people who struggle with intonation may believe they have amusia, but this is not necessarily the case. Note means a single sound that originates from a voice or instrument. Notes are identified in the musical alphabet with letters A through G.
Pitch refers to the quality and low or high degree of a sound. There are two kinds of pitch musicians can have: relative or perfect. Relative pitch is being able to recreate a note based on its position next to another note. A person affected by amusia often has difficulty distinguishing between note intervals. Perfect pitch, also known as absolute pitch, is the ability to recognize or reproduce a note perfectly without any references. A person who is tone deaf would not be able to sing or hear and identify a note. Tone defines the strength, quality and pitch of a sound made by a voice or instrument. What Does Tone Deaf Mean? Being tone deaf means not being able to distinguish between two distinct pitches or tones. Individuals who are tone deaf are unable to recreate sounds, even when trying to match another person or instrument. Unfortunately, many people who are not trained as musicians are led to believe their lack of experience replicating notes and pitches is synonymous with tone deafness. Whereas not knowing how to reach or maintain intonation is from a lack of training, true amusia is an inability to even distinguish between different sounds. Those who have trouble interpreting musical sounds often dislike listening to music because the notes all sound the same. Additionally, their brains do not process the act of hearing music as a pleasurable experience. They don't have to listen to bad music. They can't enjoy good music. They're shunned by some people for their disabilities. What Percentage of People are Tone Deaf? Between two to five percent of the U.S. population has some form of amusia. For those who have congenital amusia, there is very little that can be done because their tone deafness results from how the brain misinterprets the external inputs from sounds. Symptoms of tone deafness are divided into three categories. Mixed symptoms, that is, symptoms from both clinical and receptive amusia, are seen in individuals who have difficulties with both how they are able to perceive and interpret music. The U.S. Department of Health and Human Services has been using this test for the past 50 years. In this test, you listen to 26 melodies common in North America. Then, the test asks you if the melody is played correctly. Don’t get impatient; listen to the entire tune before clicking yes or no. Sometimes, the melody is correct until the very last note. However, if tunes and melodies aren’t your thing, then try the tone-deaf test from Classic FM. This test consists of three parts. The first part asks you to say if two notes are the same or different from each other. Then, you listen to see if a pitch is going up (getting higher) or going down (getting lower). The third part asks you to see if one note is higher or lower than another. What If The Test Says I’m Tone Deaf? Even though tone deafness is usually harmless, it is best to speak with a doctor if your tone deafness is a recent phenomenon. Any symptoms of clinical amusia that are recent should be evaluated by a trained professional to rule out possible medical causes. After you take a tone-deaf test, you will see if you are truly tone deaf or merely untrained. If you are able to distinguish between higher and lower notes or tell if one note is different from another, then you might be able to train yourself to have relative pitch. If the test indicates you might be tone deaf, there may still be hope. The good news is that you aren’t alone; there’s even a choir for tone-deaf individuals in England. By working on your abilities, you can improve your vocal strength, hone your perception of relative pitch and become a more confident singer. Don’t let a lack of formal music training make you think that you’re tone deaf. Recognizing that a note sounds different than it should is one of the many steps along the path to being a better musician. 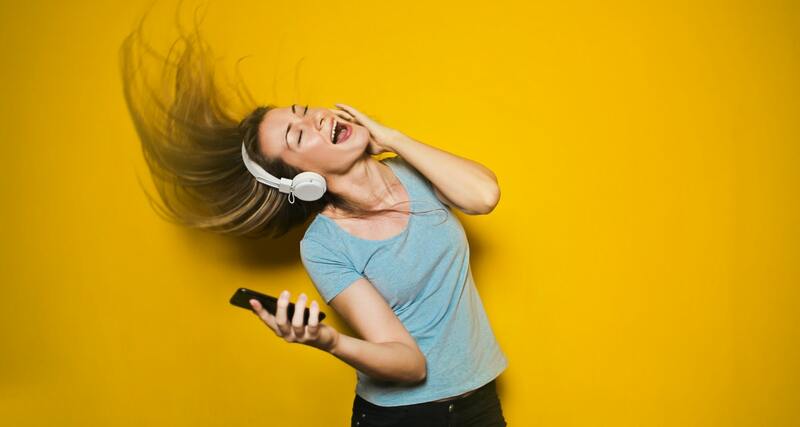 With a bit of time and training, many individuals are able to overcome a lack of musical background that is often incorrectly called tone deafness. 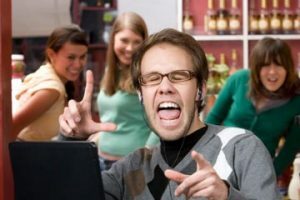 For individuals who are truly tone deaf, the ability to learn music is related to the severity of the person’s inability to distinguish between pitches. Taking a tone-deaf test may help you finally figure out if you’re an untrained future talent, or if you are physically unable to perceive the difference in musical notes. No matter whether you need to work on your intonation or improve your pitch, most people are able to improve their musical understanding through practice and training.